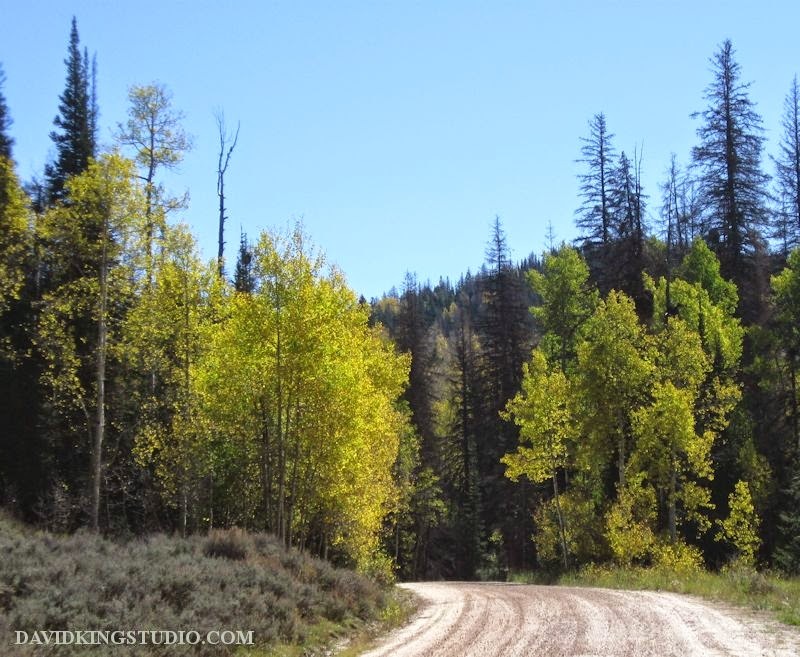 I was set up at cross roads of sorts, (The Soapstone Pass is a dirt road.) so I had a lot of traffic from the hunters driving their ATVs around and other people like me out enjoying the fresh mountain air and fall colors. 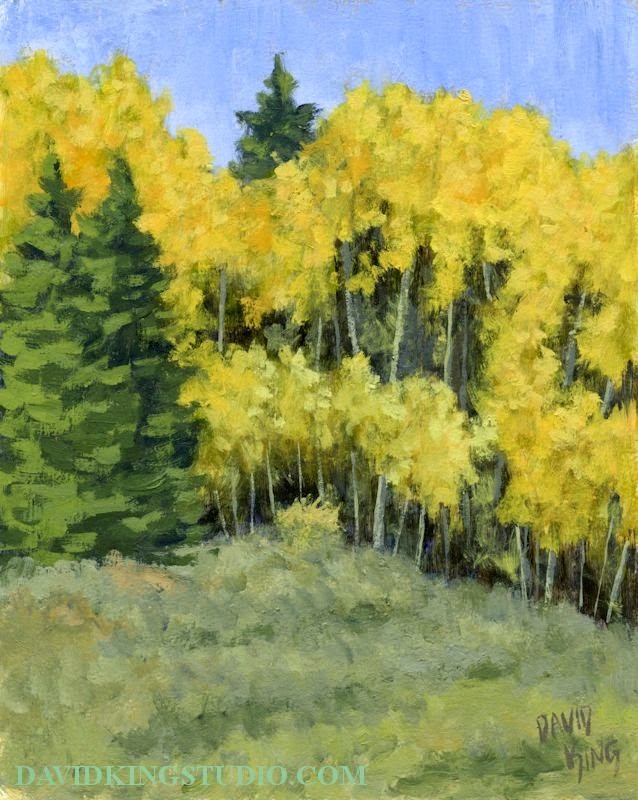 While the noise and dust were annoying at times I did enjoy meeting a few people that were interested enough in what I was doing to stop and take a look, in particular I met fellow artist Sue and her husband Rex from Tabiona, I now have a standing invitation to go paint with her on her property by the Duschene river. If anything at this elevation the colors where a bit past peak so I headed on over the other side of the pass to highway 35 also known as Wolf Creek Pass and dropped down to the town of Francis. 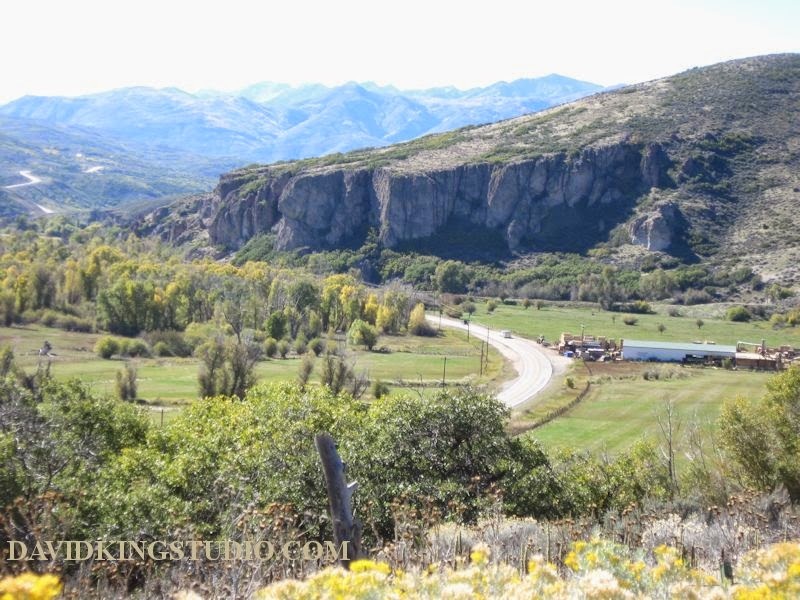 After some exploring in Francis I dropped further down to the town of Midway in the heart of the Heber Valley. I decided I didn't want to take the freeway back home so I drove up a little known road to Guardsman's Pass at the top of Big Cottonwood Canyon in the Wasatch Mountains. I said little known but there were enough people that knew about it that the traffic was kinda nutty for a remote mountain pass, (very slow, curvy and steep, 15-20 mph), I guess everybody else had the same idea. There was a section of the road lined with photographers! 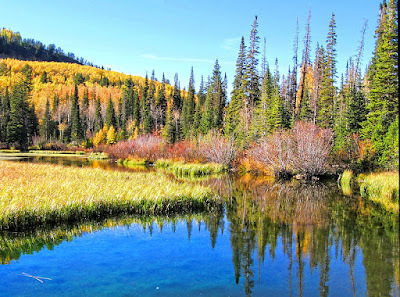 Once in Big Cottonwood Canyon I went up to Brighton and went for a walk around Silver Lake, again everybody else had the same idea! The pathway was quite crowded but it was worth it, the color was great even if a bit past peak. From there it was just a drive down the canyon and short bit on the freeway to home. It was a long, tiring day but a lot of fun. Here are a couple photos from my travels.